If you follow me on Facebook or have looked through many of my before's and after's, you will see a trend. I would say that 90% of the time I choose to "paint it white". 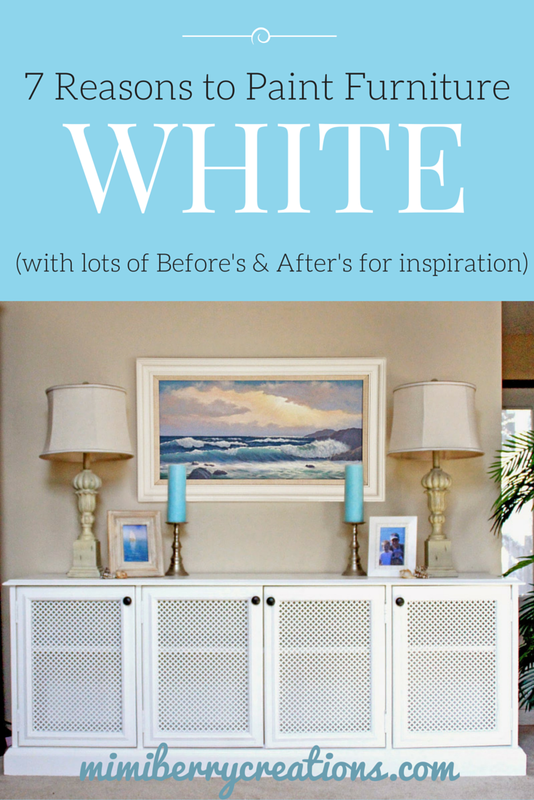 There are many reasons why I choose to paint many of my furniture pieces white, and I figured I should explain myself. In the end my explanation might make your creative decision process a little bit easier too! Versatility is not only important to me, it is important to you. Most of my furniture redos are to re-sell, and since I am not exactly sure what my potential customer is wanting, I want to offer a piece that will work in most individuals' homes. 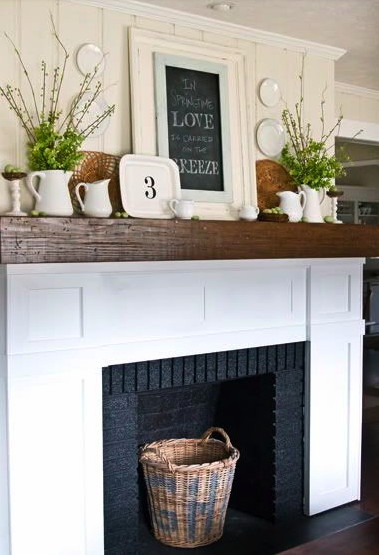 White works with everything and is very neutral. Keeping a piece neutral allows it to work in almost any decor. Then with the help of accessories you can add your own personal preferences and personality! 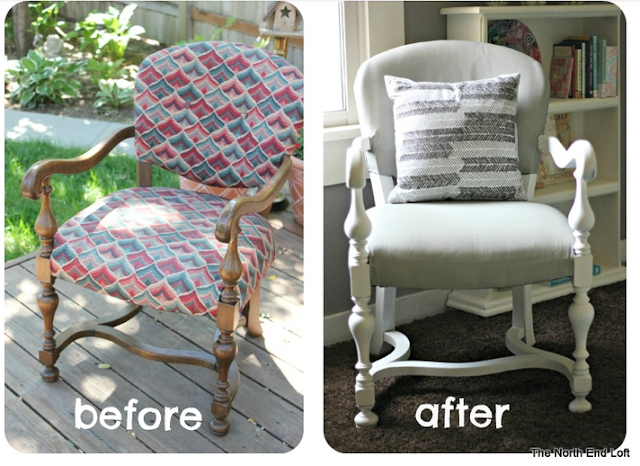 Throw pillows or a blanket on chairs and couches, knick knacks, lamps, frames, etc. on dressers, tables, and more. 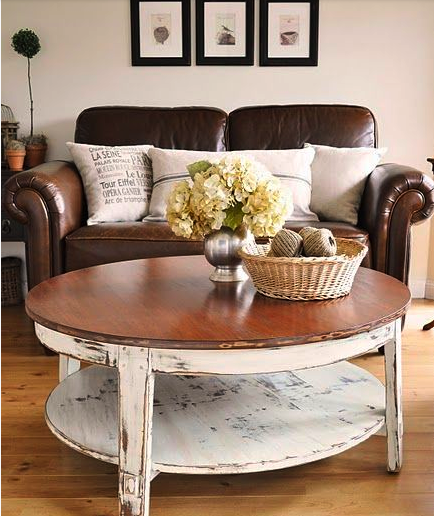 Keeping your large furniture pieces neutral allows you to beautify your room around it to your preference. 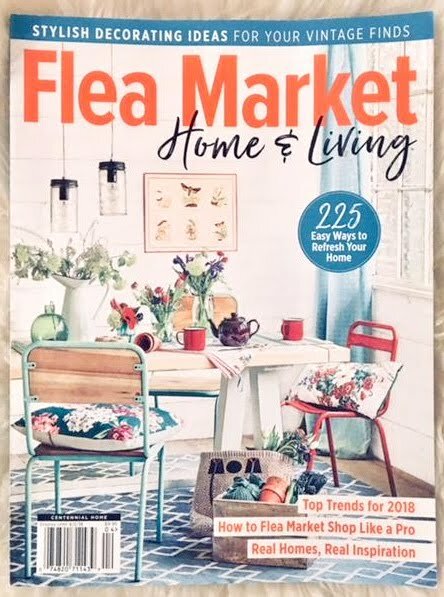 Paint your walls, display your favorite artwork, choose fun rugs, and add accessories that speak to you. When your preferences change, you can change up your accessorizing and yet still keep your furniture. 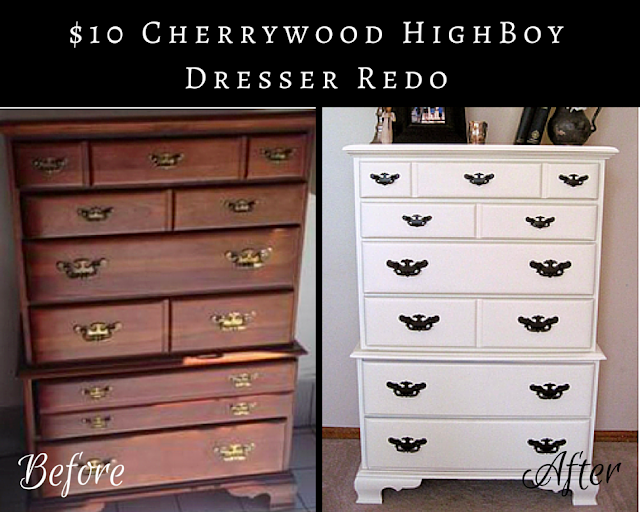 It allows you to makeover your home yet still keep your most expensive pieces the same. 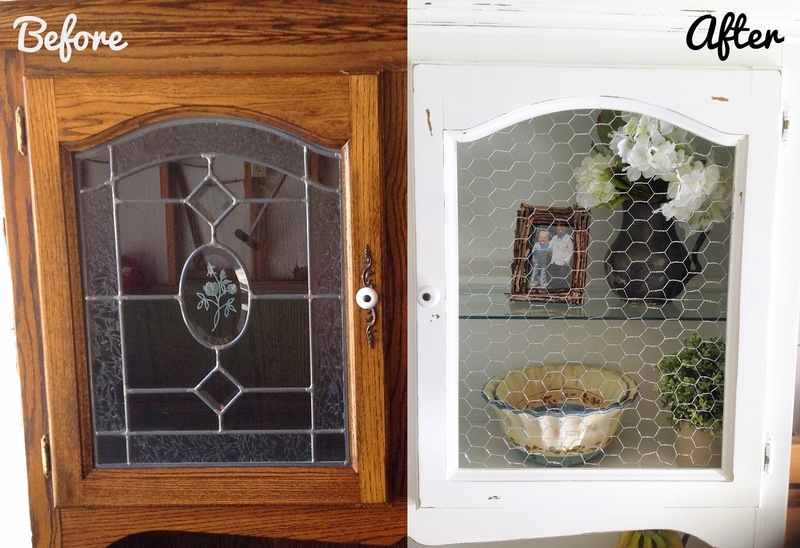 Plus, if you look throughout the decades, white seems to age well throughout all the crazy design trends. When you think of something really, really clean, do you think of brown or black? Nope. You think of white. White = Fresh and so clean (clean). White furniture shows less dust, is easy to clean, and makes your room seem more clean than if it was a different color. If you look at well decorated rooms that are light and neutral colors, you almost want to take a big deep breath because the room looks so fresh! White upholstery is not necessarily easy to clean, and hence the reason I can't have this beautiful set up in my home with four boys. 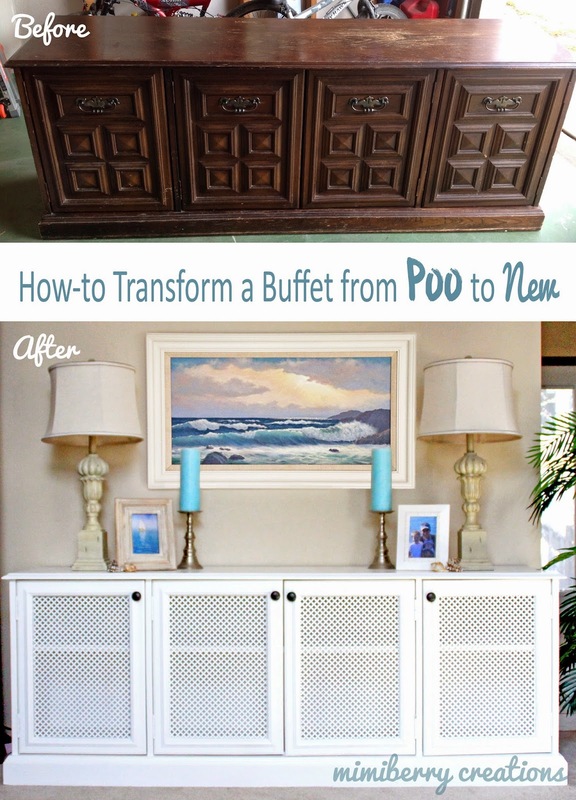 However, painted white furniture is easy to clean. I also know that there are no white tables in this picture, but I wanted to demonstrate that white and lightly neutral colors give the element of freshness. Paint is pretty much the same cost no matter what color you get. Depending on the size, brand, and the type, you are going to pay the same price whether it is white or it is purple. However, if you are like me and like to redo a TON of furniture, it is nice to buy paint by the gallon vs the quart, because the price for the quantity is better. Not only will you not run out of paint mid-project, you will most likely have leftovers to carry over to your next project. Make sure you pick a white you like a lot though, because there are hundreds of white paint choices. Just search "white paint" on Pinterest and there are galleries of rooms painted in hundreds of different "whites". The two projects shown below I did with the same can of Annie Sloan Old White chalk paint, Annie Sloan wax and General Finishes Java gel stain and gel top coat in satin. Not super cheap up front, but I redid these two pieces for our front room, as well as redid our bedroom furniture set + MANY more (all without having to run to the store to buy more product). Children + White = Are you serious?! That doesn't seem like the correct equation...I know, I have four boys. Children are inherently dirty, but let's be honest, boys take the cake when it comes to dirt. If I could decorate my home however I wanted to I would have Pottery Barn white slipcover couches and chairs, with white plush rugs (see the beautiful living room a few pictures above); however, white couches + little boys = Disaster. I tried white couches in our living room for several months....that didn't last for very long. Since I can't choose white upholstery, I choose to have my other big furniture pieces white. 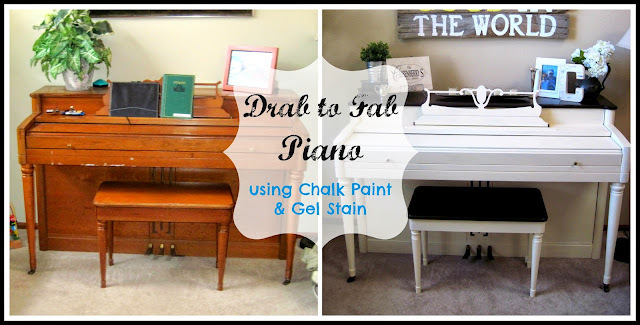 I choose neutral colored couches and chairs that can have white and other colored throw pillows (that can easily be thrown into the wash), and white for my piano, my tables, etc. that can easily be wiped down. We live in a 1550 finished square feet tri-level house (2100 total). Because it is tri-level, our rooms are small and compartmentalized. 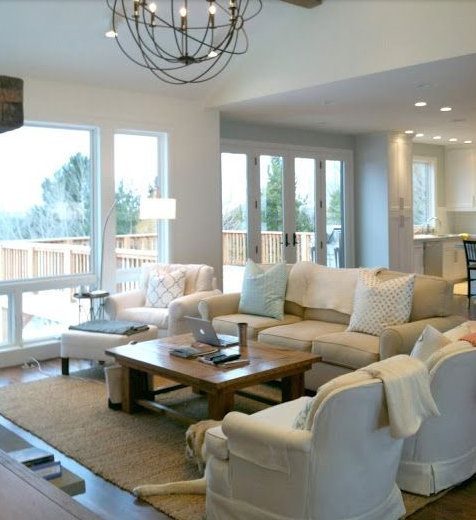 To create the feeling that our home is more spacious and open, we choose to go with white and other light colors because it creates the illusion of more open and airy. If you choose to go with bold dark colors, you get the opposite effect...small and closed. 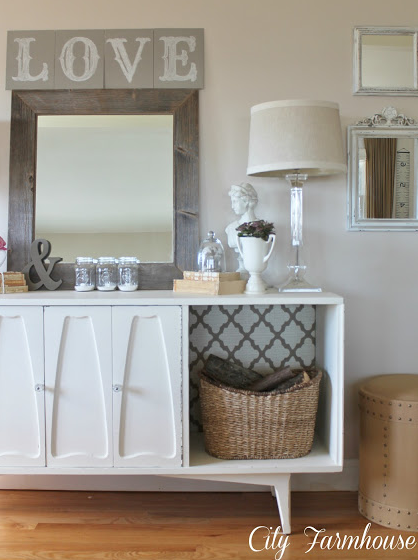 If I keep my bulky furniture pieces white, they don't seem as bulky, and help the room seem bigger. Doesn't this piece look so much more delicate with some of the cupboard doors removed and painted white? My husband and I grew up in California. He was lucky to be born and raised in Santa Barbara, just a couple miles from the beach. I grew up in San Jose, 45 minutes from Santa Cruz beaches. Now we live in Colorado and love it, but we do miss the beach. 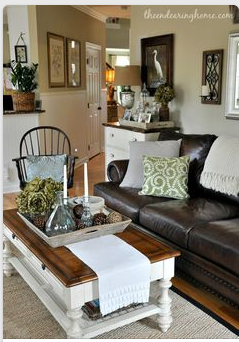 Having furniture that is white, or natural wood, creates a feeling of "beachiness" to us, and we like that! Lastly, whenever I get a furniture piece to redo I Facetime my sister in California who has impeccable decorating taste. I ask her, "What should I do with this ________?" and she almost always says, "Paint it white." She and I both rent and thus only have so much creative freedom when it comes to wall colors, flooring, etc. So when it comes to decorating a rental home, you need to keep your decorating freedoms as free as possible. Painting your furniture white keeps them like a blank canvas, and allows you to accessorize them, and your home, any way your heart desires. A play kitchen can be any color, but white seemed like a safe choice and ended up being perfect for the little girl who ended up getting it. Click here for the transformation and tutorial. White really beautified this ugly, beat-up, outdated Lane cedar chest. Click here for the how-to. 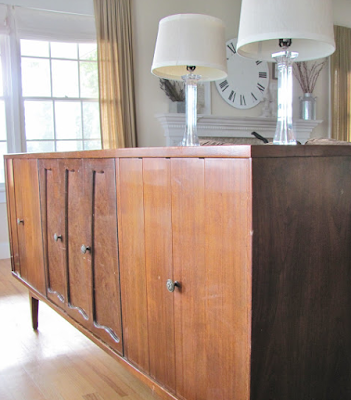 Not that this antique cherry dresser was ugly, but it was big and bulky feeling, and didn't fit my taste. Just a little paint and some pretty damask contact paper inside the drawers, and this dresser took on a dainty and delicate feel instead. 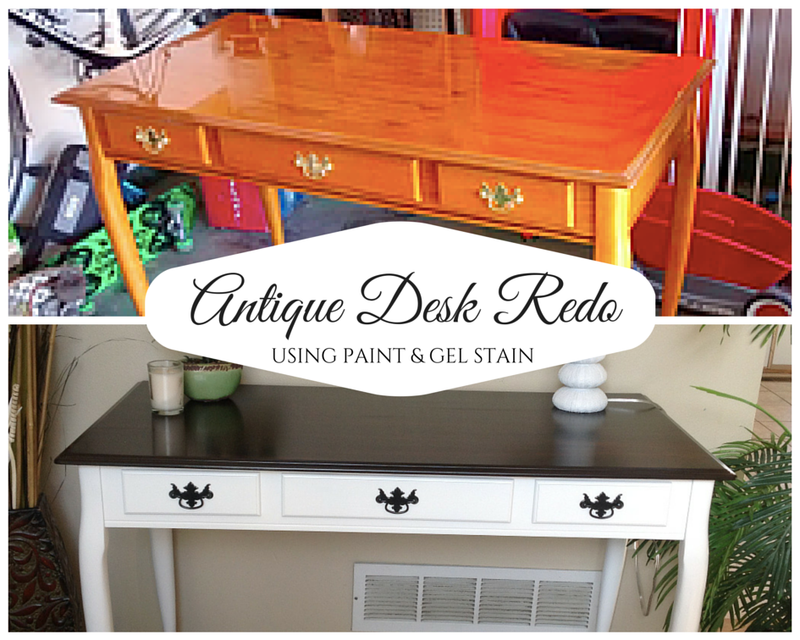 This heavily lacquered, honey colored desk was definitely not pretty. 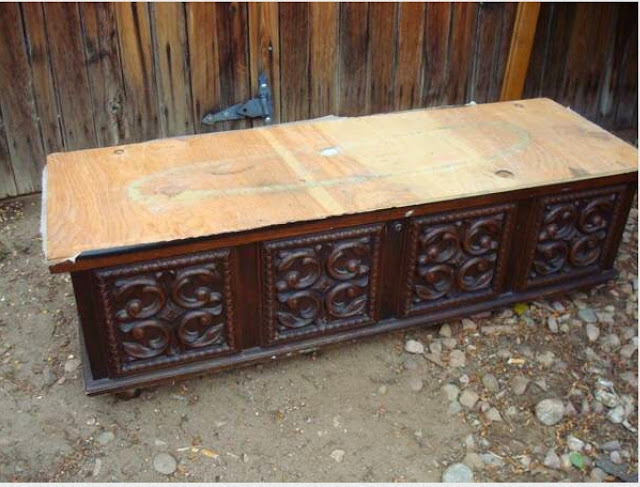 Add some paint and stain though and it looks elegant and is far less conspicuous. Click here for the how to. 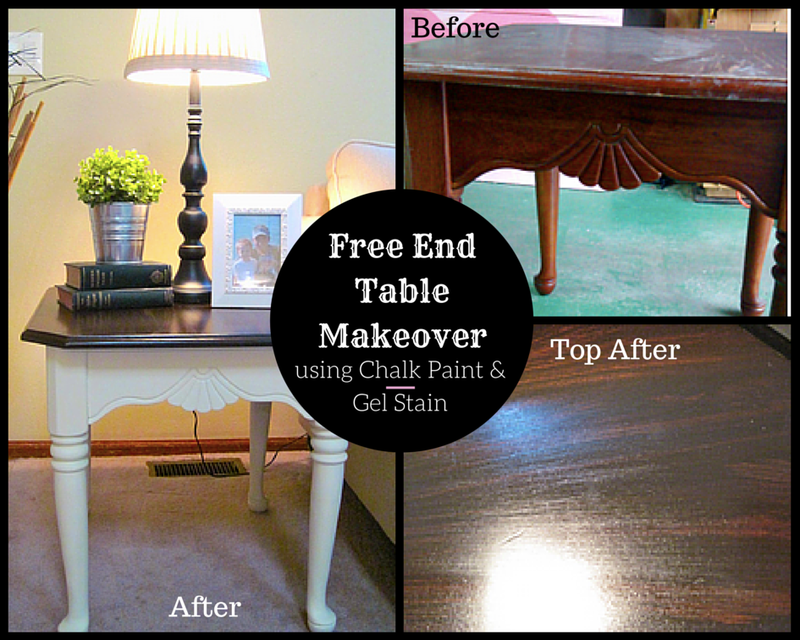 Choosing to stain or paint a furniture piece dark or colorful is totally a great option sometimes too. Seeing a huge piece a bold and fun color really makes a room pop, or having a bright and cute color really adds another dimension; however, when in doubt go neutral, and go white. It is easy to clean, is super versatile, and will most likely age well through changing styles and trends. Even though I prefer going with neutrals, I'd love to hear what you have found to be your favorite go-to method! What's your favorite and why?